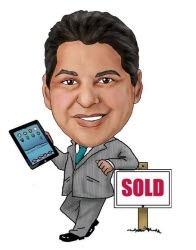 Bought and sold a Single Family home in 2014 in Lubbock, TX. Bought a Single Family home in 2012 in Lubbock, TX. Ruben went above and beyond to sell our home. We had some specific requests regarding qualified buyers and earnest money. Ruben honored those requests and took care of every detail. Sold a Single Family home in 2010 in Lubbock, TX. Bought and sold a Single Family home in 2015 for approximately $175K in Lubbock, TX. Bought a Single Family home in 2013 in Bowie, Lubbock, TX. Call now at 806-786-1134 or fill out the form below as best suits your needs.